Tallahassee Open @ Jack Mclean and Tom Brown. Anyone that is planning to go to Tallahassee, there is not day of registration. The entry form says that it either need to be mailed or late registration is Friday 2-7 at Jack McLean. Days Inn is just a few minutes from the course and rates start at $55 plus tax... It is not one of the nicer Hotels! I have made arrangements with Comfort Inns & Suites (850) 576-7300 / New Hotel and nice. 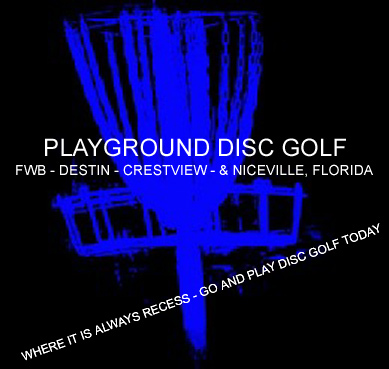 Just minutes from the course and if you mention my name Steve Hollis and disc golf you will get a 10% discount. King room $64.05 - Two queen beds at $70 - up to 4 persons, if they ask I was told to just say 2 persons. what was that saying I heard in ATL? I hope everyone plays well, and almost as good as me! it was fun, but unorganized. Jack mcklean tested everybodys skill with not one round under par. tom brown was better and definitely a beginner couurse. Mr. steve won adv. grandmasters with a tough, tough competition. Todd took 2nd in intermediate with a 228 for 3 rounds and i took first with a 218. Congrats to drake with a silent ace on hole 5 during a practice round. Nice! yeah, steve's competition was so intense! the TD was kind of a jerk... I don't know if I want to play another tournament he's hosting.